So I am updating the site a little and trying to make things more uniform and more easily accessible. You will see small changes throughout the site the most prevalent changes will be on the What's for Dinner page. 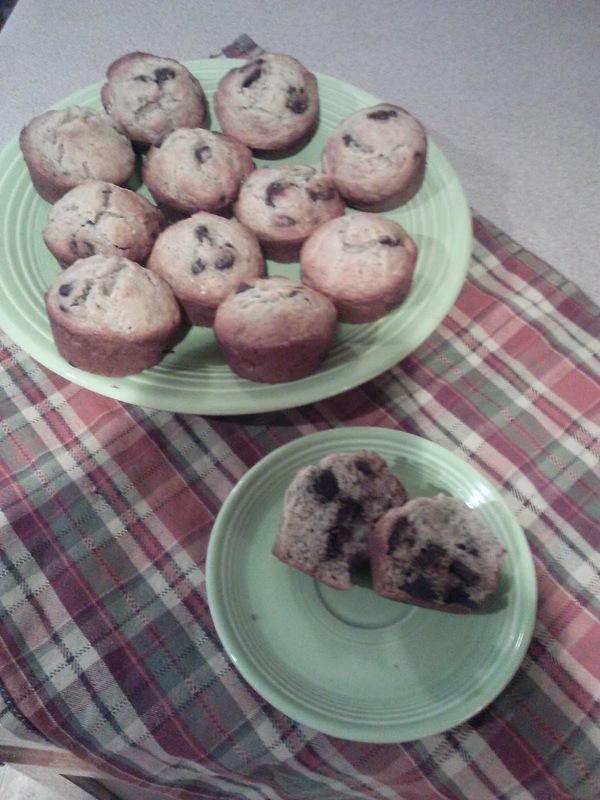 With these changes I thought I would repost one of my favorite recipes, Monkey Chip Muffins. These are the perfectly balanced banana chocolate chip muffins will satisfy any sweet craving and having coming back for more! walnuts. We omit this ingredient because while Joel likes nuts...Jude not so much. ingredients. Mix well. Then fold in chocolate chips. warm or at room temperature. Enjoy! So head over to the What's for Dinner page and grab this and many of our other favorite recipes!